Tenants typically prefer to be left alone, but when they want to contact a property manager, they expect easy and instant communication. Conversely, property managers want to ensure tenants are adequately informed at all times about everything from overdue rent to scheduled building maintenance. Utilizing an effective mobile communication system is essential in buildings as a part of daily operations. Even more importantly, mobile communications can save tenant lives during unanticipated emergencies. Things happen that even the most astute owner/manager cannot anticipate, as evidenced by the recent tragedies at the Grenfeld Tower in London and the Marco Polo Apartments in Honolulu. In the case of Grenfeld Tower, the property’s emergency plan for an apartment fire called for residents to remain in their units. Unfortunately, the situation rapidly changed and first responders determined residents should self-evacuate if possible. By that point, there was no way to communicate this change in plans to the remaining residents inside the building. Clogged phone lines meant first responders turned to asking onlookers to reach anyone they knew living inside the building via mobile devices or social media. Part of the problem in Honolulu apartment fire concerns the lack of sprinklers, but other residents told authorities they did not hear the evacuation alarms. It was only when seeing the first responders and other residents evacuating they realized the need to exit the building. Apartment owners and managers in New York City can learn from these devastating accidents. Having a mobile communication system in place that could instantly alert every single resident in the building quickly with a push notification may have helped reduce the tragic loss of life during these fires. The majority of buildings in New York City are pre-war Class B & C properties that need technological and structural updates. Most of the time a mobile communication system will only be used for monitoring maintenance requests or handling tenant queries. Utilizing a real-time system as part of the building's emergency plan provides peace of mind for both the managers and the tenants. We do everything we can to be prepared for all sorts of disasters, including the ones we can't imagine. Mobile notification is an essential part of that planning. Bixby creates a real-time link between property managers and tenants. One advantage is its instantaneous notification and communication. In an emergency situation, the Bixby platform could be used to notify residents without calling and text messaging every single tenant to keep them apprised of developments. After all, in an emergency situation every second counts. 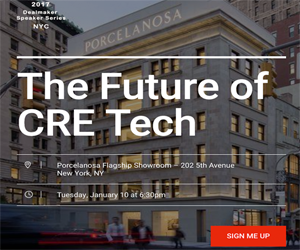 DON'T MISS OUR UPCOMING CRE // TECH EVENTS IN LOS ANGELES ON SEPTEMBER 28TH AND NEW YORK ON DECEMBER 7TH! TICKETS ARE ON SALE NOW!